What’s different about this baby clothes shop you may ask yourself ? 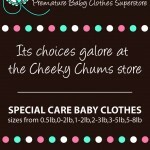 Cheeky Chums carry one of Biggest and Widest Range of baby clothing and accessories online for a premature baby. Brightest Clothing Arrangements,Pleasing and likeable for early premature and tiny babies. WHAT YOU CAN EXPECT FROM CUSTOMER SERVICE. You can expect Friendly personal assistance to help you with fittings,personal requirements,delivery details etc. tel 01942 254259 10am-11pm Mon-Sat. Once Cheeky Chums recieve your order, you will receive the “Proprietor’s” mobile telephone number sent via email so you can be sure you get a top notch service. Uk Orders For peace of mind Cheeky Chums Services offer free recorded delivery on top of your normal posting method . (Its Done Automatically after the checkout process).When your order has been despatched leave a mobile / telephone number or email address so we can contact you with the trackable number (post sent via by royal mail) . Overseas orders have international signed for or Airsure posting giving you added assurance that your items has been shipped. Your orders will be sent Well packed in a secure packaging and sealed with A Cheeky Chums seal..So it reaches you in tip top condition give or take a few creases made during transit. Fast despatch sent out on a quick turnaround on non handmade items usually same day or next working day. 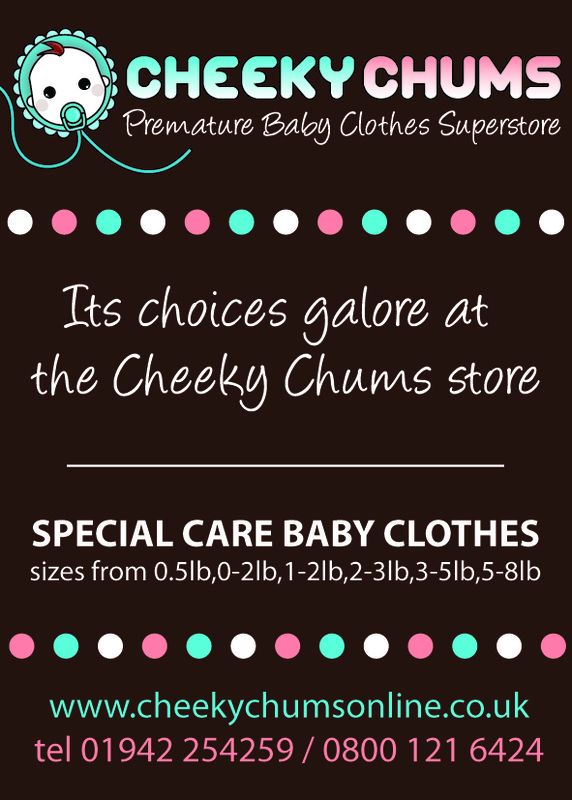 What premature baby clothes and tiny baby accessories can you find at Cheeky Chums? At Cheeky chums You are able to buy the trendiest Baby clothes for the tinest member of the family,everything from top to toe in stock from just one baby shop.plus in the hardest to find micro early + tiny baby sizes with the minimum of fuss. less frustration searching on the high street or net for something cute and that fits leaving you to spend more quality time bonding with your newborn baby. Ease of ordering knowing if you want to fill a wardrobe full with something that extra special in small baby sizes its all here.Plus a lot of payment methods are made available to you so you can choose from lots of safer and quicker ordering options. At Cheeky Chums theres extra products for premature babies such as nappies, tiny tights, premature baby gift sets clothing assesories and premature baby dummies. Added savings! if you shopped around you will find most of the identical premature baby clothes and tiny baby products at Cheeky Chums are cheaper than other premature baby shops. Think of that ? identical clothes and then that leaves you with the same item bought for less, then you can use the savings to buy yourself a little treat. Cost effective shopping For YOU at Cheeky Chums with free postage when you spend £25.00 or more and save a fortune by shopping all at once even for overseas deliveries too. Cheeky Chums try to stock every item a premature infant needs to wear and if it runs out,its sourced quickly to get them replaced for you when you need them quick. Cheeky Chums will be continuing to increase the range made in the uk so you know it hasn’t been made in sweat shops overseas or made by under age children. see what else exciting and interesting as well as shopping you can do at Cheeky Chums online baby shop. 7 unique qualities of the Cheeky Chums premature baby clothes superstore.